Unique and novel colors combined with medium, upright habit and vigor makes the Sweetunia Series one of the most attractive series on the bench. 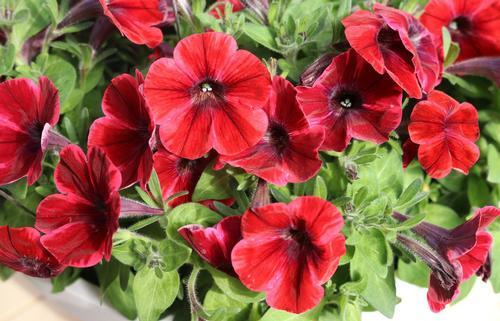 Plants hold their shape and color well in the pot, but don't hesitate to fill out baskets or larger containers when given the opportunity. The newest addition to the super star cast of Sweetunias. The same dark star pattern but on a bold red backdrop.